Ockers authorized sales and certified service centers offer more than 700,000 computer products from over 3,800 of the world's leading hardware manufacturers. 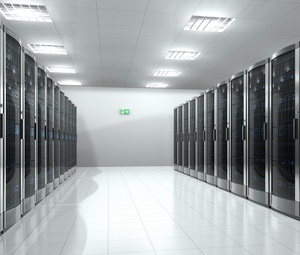 Whatever your IT data center, business communications and security needs, our cost-effective custom solutions ensure optimum performance, efficiency and dependability. View our Solution Partners page for more information. Because information is the lifeblood of any organization, protecting your data and related assets is always the overriding concern with Ockers’ technology engineers. During our consulting process we’ll comprehensively review, evaluate and address every aspect of your IT project and recommend proven security strategies that provide peace of mind. As a Microsoft® Certified Partner, Ockers offers Windows Server solutions that comprise software application alternatives security-matched to your operating system. When it comes to network security, Ockers is at the forefront of protection technology with multi-layered UTM (Unified Threat Management) product solutions from Cisco and SonicWALL. Our data defense solutions identify and eradicate security threats with an interactive arsenal of anti-virus, anti-spam, anti-malware software and firewall appliances that keep networks safe. Trusted by Fortune 500 to small enterprises, let Ockers’ network security engineers design a system that is tailored to your industry needs. 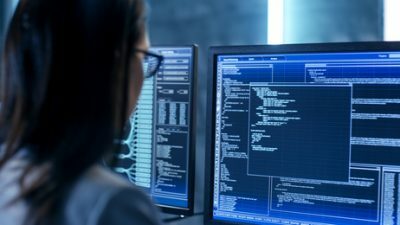 The Ockers Company provides complimentary basic configuration services for our computer hardware customers while custom configurations, disk imaging and asset tagging services are provided at reasonable cost. Ockers’ technical expertise and time-saving autoload imaging services deliver uniform hardware and software solutions efficiently configured to meet both current and future operational considerations. Ockers wireless solutions begin with a pre-sales analysis of your connectivity goals, networking parameters and environmental requirements against installation cost factors. As a leading provider of IT and communications network services in New England, we are technically astute at planning, building, managing and maintaining wireless solutions of all kinds... LAN, WAN, CCTV, VoIP, etc. Whether contemplating a multi-location rollout or enhancing your current system’s effective coverage, discover the advantages of utilizing Ockers diverse experience. Storage Area Networks provide an excellent means of increasing capacity for IT managers operating with larger-scale and fast-growing databases. SAN solutions offer high-performance features including full data availability, snapshots, options for deduplication and thin provisioning. Whatever your data storage environment, applications and workflow requirements, trust Ockers to develop a capacity solution that meets your infrastructure’s needs… now and into the future. We offer an extensive line of supported performance, scalability and integration options at budget-friendly price points. Ockers possesses the in-depth experience and scalable technology resources to strategically plan and implement critical desktop migrations and rollouts for any size data project. Our comprehensive services consist of application deployment; hardware and server configuration; operational testing; software support and follow-up maintenance. Avoid the hassle, delay and inconsistency problems of dealing with multiple vendors by contacting the Ockers Company. Ready to upgrade your technology? Don't settle for less than the best, let Ockers help you with new technology.